What does it take to be on an All-Star Team? Talent, dedication, dependability, perseverance, striving for excellence, a spirit of coop- eration, integrity, a passion for the activity. Who, in your dance community exhibits these attributes? To whom are you grateful? Who could you simply not dance without? It may be your best dancer, your best instructor…or it might be the person who never forgets to bring refreshments, who is always willing to carry the equipment and set it up…the person who makes your dance community a major priority in his or her life. 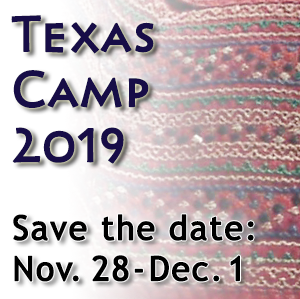 Texas International Folk Dancers would like to recognize one or more people from each of our International Folk Dance communities. Please fill out this nomination form and at the TIFD Board meeting on August 24, the Board will compile the list of the 2013 All-Star Team. Presentations to the All-Star Team members will be made at Texas Camp 2013.